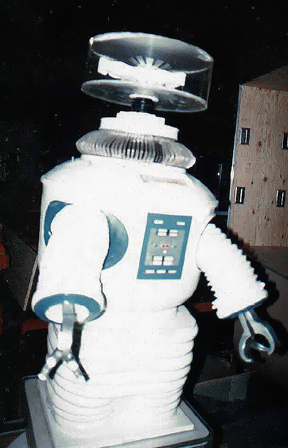 On Monday September 5, 2005 I received a very special e-mail from an old Lost in Space fan. 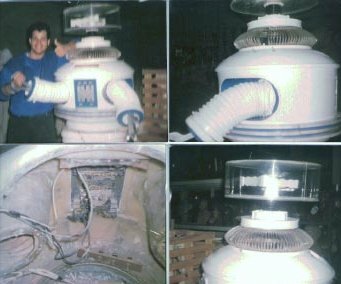 Attached were 6 rare photos of our loved space hero the B9 Robot. 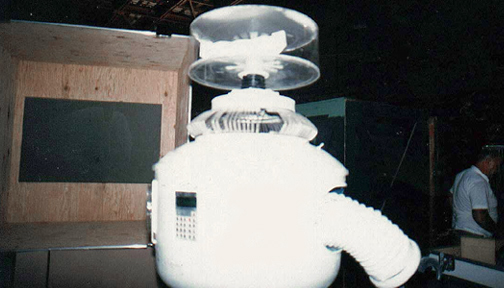 As many of you know, this original prop was later modified for the Saturday afternoon show, Mystery Island. These 6 photos have never been seen before, until now. These photos were taken at the Fox lot back in 1987. 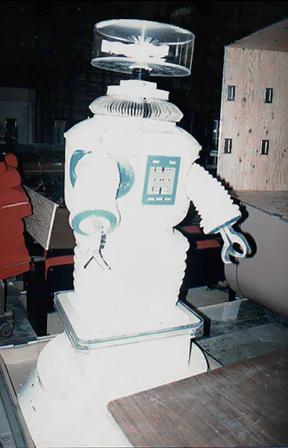 The fan had a written request to visit the studio for a future Lost in Space book project. 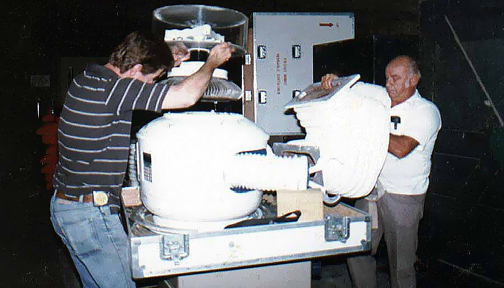 The fan waited as two prop hands carried the Robot inside a large wooden crate. The Robot was brought out in different sections. 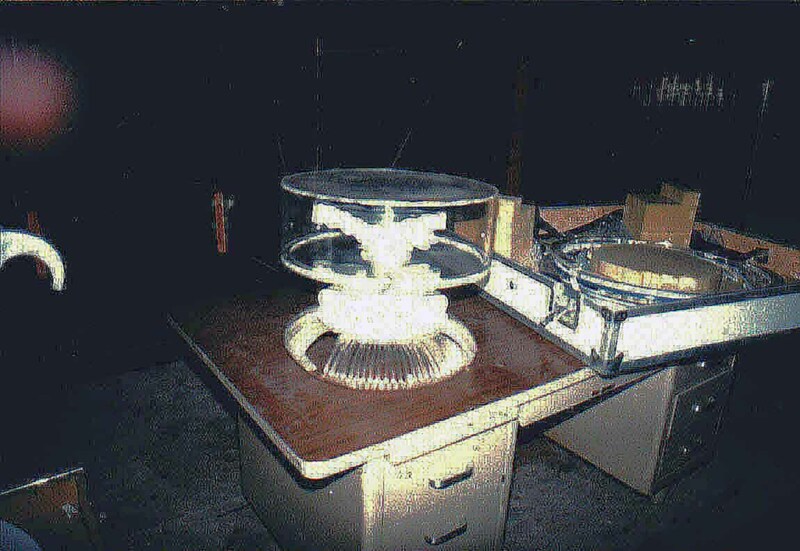 Many parts including the collar was damage from use and time spent sitting in a crate. 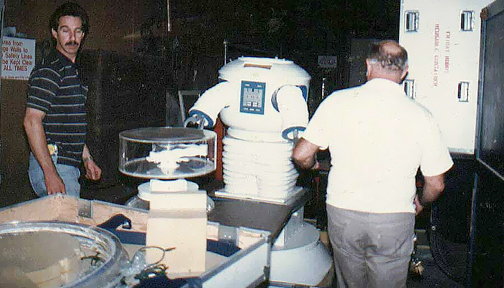 A calculator was also placed in the back of the Robots torso, for that real cheesy special effect look. This is a true treat for any Lost in Space fan. I personally have searched for info and photos on Mystery Island, for nearly 10 years. These are the best ever seen to date. I am amazed what I have found and posted on our site over the past 6 years. Making our website unique of valueable resource of imformation. This is truly one of the best found treasures to date. Special thanks to a dedicated friend and fan for sharing these photos with us!